There may come a time when you need to help transition your parents into a retirement community. This could mean putting up their home for sale. Obviously, they will take a lot of their furnishings and household goods with them but not everything will end up going. Instead of paying for storage rental you might simply consider getting rid of all the unwanted items with an estate cleanup. That might seem like an overwhelming task if it was something you had to do by yourself. Fortunately, Junk King Portland is standing by to help you get it done the fast and affordable way. 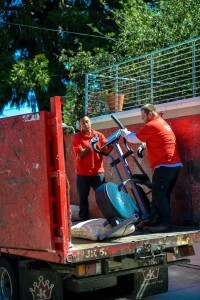 The standard junk removal session that set up by Junk King is always staffed by at least two movers. This is the team that is capable enough to handle all types of furniture and appliance removal. They can also take care of the bigger challenges like hauling out an exercise treadmill or pool table. Estate cleanups might require more than the two-man crew. Junk King will happily provide all the help that you need to get the home clear in a single session. Whether it’s two or six movers they will all work together to go room from room and remove anything that is left behind. That includes all the furniture, rugs, drapes and appliances. They’ll also clean out the attic and basement. All of that is going to make a huge difference when it comes time to put the home on the market. The cost for the Junk King service is based on how the truck will get packed up. The crews will always strive to get as much of what you’re tossing out into as little space as possible. They need that space for their next pickup. They also want to make sure you get a great price and the less room they take up, the less you pay. If for some reason they are off with their estimation in your stuff takes up more space, then you will still pay that original price. Estate cleanups don’t have to be overwhelming. Bring in Junk King Portland from the start and watch how fast it gets done. Call to discuss the plan today. This entry was posted in Portland junk removal and tagged estate cleanups, junk King, Junk removal on March 31, 2019 by Junk King. Last updated March 31, 2019 . Did you know that the original xerox copy machines were sold with a fire extinguisher? That’s because the machines tended to overheat so much that they would occasionally literally start fires. Office equipment certainly has come a long way since then. Today, computers that once took up an entire floor are now in a single desktop. With all the innovations in office equipment, there’s an opportunity to stay on the cutting age by upgrading. What happens to the old office equipment? That can’t be toss out into the trash and it probably can’t be sold because it is outdated. What happens then is that it goes into your office storerooms taking up valuable space. That can all change with a single call to Junk King Portland. The moment a piece of office equipment stops being used it becomes e-waste. Essentially that means it is something that shouldn’t ever be in a landfill. It has to be dismantled at a certified recycling center where all the components can be carefully disposed of in a responsible manner. Junk King doesn’t do the dismantling but they can certainly help get that item to the certified recycling center. This is the way they have been disposing of the rubbish they collect for over 14 years. In that time, they have diverted literally tons of e-waste and other rubbish away from landfills and into repurposing. This is really the only way to handle this type of rubbish and you should accept nothing less! Junk King will sign you a pair of movers to take care of all the removal issues. This is good to be a very helpful crew who understands that they are coming into a place of business. They don’t want to make a disruption and you’ll find that they can get in and get out with all the rubbish without causing any complications. You can call to set up your appointment today and there’s a good chance it will be completed within 24 hours. That is just how fast Junk King moves! Old office equipment needs to be disposed of in the right way. Junk King Portland has a plan for that task. Put them to work today. This entry was posted in Portland junk removal and tagged junk King, office equipment, rubbish on March 27, 2019 by Junk King. Last updated March 27, 2019 . No matter how long you have been cleaning your home, there’s always something new to learn. It always seems like there is a new gadget or cleaning spray that helps “get the job done.” Of course, nothing can take away the value of “elbow grease” when it comes to scrubbing and dusting. There is another way that you can improve your spring cleaning and that is by getting rid of all your unwanted rubbish. The best approach to achieve that goal would be hire Junk King Portland for a rubbish removal session. When it comes to clearing away junk, the crew from Junk King definitely does it the old-fashioned way. That involves lifting and loading. It’s not very complicated but it can be challenging if you would do this type of work on your own. After all, if you took two people to bring something into your house, then it will take two people to bring it out again. Yes, spring cleaning doesn’t just have to be about tossing out old magazines and newspapers. It can also be about getting rid of those big bulky items that are been hanging around the house for far too long. They can all go on to the back of the Junk King truck. Wouldn’t that make a big difference around your house? Before the crew from Junk King can begin the work, you need to work out the fee. The pricing estimator available on the website can give you a general idea of the range for the fee. Essentially, the Junk King truck can hold the equivalent of six pickup trucks. The Junk King crew needs to see everything you’re getting rid of for themselves so that they can make a thorough assessment of how they’ll pack up the truck. Once they know whether your stuff will take up one third, one half for truck they will be able to present with a price estimate. Once agreed-upon that fee won’t change. Hiring Junk King Portland to get rid of your junk will definitely improve your spring cleaning this year. Call to set up your session today. This entry was posted in Portland junk removal and tagged junk King, Junk removal, spring cleaning on February 28, 2019 by Junk King. Last updated March 2, 2019 . A person who is classified as a “hoarder” is someone who has a hard time breaking up with their junk. They simply can’t throw out anything. As a result, they keep all kinds of trash in the home and throughout their yards. Just because you have some clutter and a few rubbish items around your property doesn’t make you a hoarder. It just might mean you haven’t had the chance to “break up with your junk” because you lack the means. After all, it is not that easy to throw an old sofa onto a back of a truck and haul it to a disposal site. You would need help with loading, the actual truck and knowledge of where to drop it off. All of that can be taking care of by Junk King Portland. This is the company that can help you break up with your junk today. Junk King works on a simple philosophy: they do everything. But two-man crew will be assigned to your junk will task. You’ll show that crew a sofa that you want to get rid of. That sofa could be down in your basement or in an upstairs bedroom. The Junk King crew will say, “no problem.” Before you know it that sofa will be gone loaded onto the truck. You don’t have to attempt to bring the sofa upstairs for easy access. Junk King crew is going to do everything from start to finish to get that item out of your house. It might even mean taking it apart so that it will fit down the stairs and out the door. That same approach can then be used for any item you want. That includes kitchen appliances, televisions, clothing, mattresses and other household goods. Yes, you have to determine exactly what you but it won’t take the Junk King crew very long to load it all up onto the truck. How the crew packs that truck will determine how much you’ll be paying for the job. Keep in mind that Junk King charges a flat rate. That rate covers all the labor, transportation and the disposal. If the crew is at your house for 30 minutes or a few hours, then you’ll be paying the same. If they decide to make a few drop-offs of your items to a charity or recycling center, then you’ll be paying the same flat rate. Even if Junk King sends over additional crew members for the really big cleanup jobs, you’ll still be paying the same flat rate. That rate is determined by how that stuff will fit onto the truck. It’s all about volume and not about weight. Junk King crews will provide you with that estimate before the work begins. It’s a very fair and affordable price for this type of service. Are you ready to break up with your junk? Junk King Portland wants to help make that happen today. This entry was posted in Portland junk removal and tagged junk, junk King, Junk removal on February 25, 2019 by Junk King. Last updated February 25, 2019 . Junk King Portland is part of a national chain a professional junk haulers. This is an organization that has been collecting rubbish from all kinds of environments since 2005. It is not a stretch to imagine that over the last 14 years they have literally collected several hundred tons of unwanted rubbish. Anytime you remove a rubbish item it creates an empty space. That is true whether it’s a recliner from the corner of the living room or an exercise treadmill out in the garage. The choice is yours as to whether you want to fill up that space again or leave it open. The choices are also yours in deciding what can be cleared out of your home to make that store space available. One thing you won’t have to worry about is all the actual lifting and loading of those objects. Leave that to Junk King because they want to make finding storage space as easy for you as possible. Junk King knows that if it took two movers to bring something into your home, then it’s going take two movers to bring it out. That is who you’ll be assigned for your rubbish removal session. The first thing the crew does is look over all the things you want to get rid of. They don’t have to take any measurements to know how it will fit onto the truck. They’ve been doing this kind of work for so long that they can size up any amount of furniture, appliances and boxes and know whether it will be one third, one quarter, one half or the entire truck bed. Once they’ve made a determination, they’ll be able to present you with the price. The flat fee will reflect how the truck it’s backed up and it covers all the labor, transportation and disposal. It’s a very affordable approach for this kind of work. To put this plan into action you only need to make one call to Junk King. They’ll set up an appointment that is based on the best time for you to set aside two hours. If you are totally flexible, then you can let Junk King know you’re available for same day pickup. If the crews are in your neighborhood and have space in the truck, then they will most definitely swing by and make it happen. You never have to wait long for junk! If making more storage space is a priority in your home, then making a call to Junk King Portland can get it done. This entry was posted in Portland junk removal and tagged junk King, Junk removal, storage space on January 31, 2019 by Junk King. Last updated February 1, 2019 . Can you imagine what 14 million tons of trash would look like? It would be a massive pile of slimy, oozy mess attracting all kinds of undesirable vermin. It would also have an atrocious smell. This is why no one would ever think of spending time in a landfill unless of course that landfill has been revitalized. In northern Portland, the St. Johns landfill was effectively shut down back in 1990. It was sealed with a cover system that prevents seepage. Now this 240-acre site is being transformed into a habitat of native wildflowers and rare birds. It is not open to the public yet but soon it could be a destination for birdwatchers and folks who just want to “get back to nature” even if that means standing on 14 million tons of trash! The transformation of this landfill is not the only one of its kind. Many such areas have been reclaimed and revitalize once the trash has been properly covered. The hope for the future is that eventually landfills will become obsolete. The only way to achieve that zero waste goal is to involve businesses, governments and communities in the effort. It also helps to know where your trash is going. You might not have control over what’s picked up by the municipal collectors but you certainly have a measure of control when it comes to getting rid of your junk. This is why you should hire Junk King Portland job. These are professional junk haulers who make a point of steering clear of landfills whenever possible. Junk King takes a green approach to disposal of the things it collects. Every item that goes on to the back of a Junk King truck can be considered to be recycled or donated. There are dozens of facilities and organizations throughout the area that can take on these kinds of items. You might not even know they exist but they are part of Junk King’s drop off schedule. Don’t worry about deciding what could be recycled from your stuff. The crews have been trained to handle this type of sorting and will do it automatically. When you want your rubbish to disappear put Junk King Portland on the job. They make it happen the right way. This entry was posted in Portland junk removal and tagged junk King, Junk removal, rubbish on January 27, 2019 by Junk King. Last updated January 27, 2019 . Not all the stuff that Junk King removes are things that are plucked from the garage or closet. They’re often called on to do some storm debris cleanup. The Junk King crews on afraid to get their hands dirty that’s what it takes to get the job done! Junk King does a lot of work with businesses. Whether it’s an office space or restaurant or retail store, the help they provide ensures that the business can run efficiently without being surrounded by clutter. Are you ready to get rid of the junk in your home or business? Then you’re ready to put Junk King Portland to work. This entry was posted in Portland junk removal and tagged junk King, Junk removal, reviews on December 31, 2018 by Junk King. Last updated January 1, 2019 . How many trips did you make to the mall for your Christmas shopping? Maybe you took care of it all online this year? There are some savvy shoppers that can do it all in one shopping session. That takes planning and picking the right spot for your shopping. It’s nice to take care of multiple things in one session. 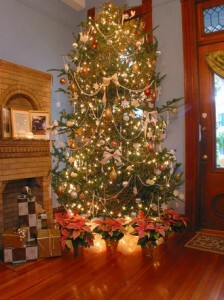 Consider the idea of Christmas tree and rubbish removal. Those would be too great things to accomplish a single session. Fortunately, that is exactly what could happen provided you hire Junk King Portland for the session. Once the decorations are off the Christmas tree you certainly don’t want it hanging around inside your house turning brown. It’s a bit of a hassle to get it out to the curb. Junk King simplifies the task. They’re going to send over a pair of workers who will swiftly lift and load that tree onto the truck. All that will be left are a few needles on the floor that they’ll happily sleep up. You could end the session right there and still be ahead of the game. But it will be much better to use the Junk King crew to full advantage and have them remove all the other accumulated rubbish you have spread around the house. That rubbish is can be packed tightly onto the truck. The goal for the Junk King crew is to get as much onto the truck into as little space as possible. They do this for two reasons. The first is practical for them: they want to make sure they’ll be able to make a few more stops before unloading the truck back to the depot. The second is a benefit to you. The less space they use, the less you’ll be paying. This is a very fair pricing structure that will save you a lot of money over the cost of you hiring your own crew and rent in your own truck. When using Junk King to get rid of rubbish, you never have to worry about how heavy or bulky something is. In fact, there won’t be any worry at all! 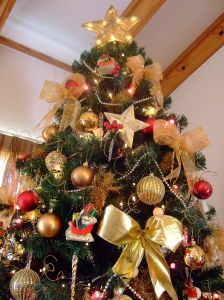 One session with Junk King Portland takes care of your Christmas tree removal and rubbish hauling. Book that session today. This entry was posted in Portland junk removal and tagged Christmas tree removal, junk King, Junk removal, rubbish on December 27, 2018 by Junk King. Last updated December 27, 2018 . Prepping for the holidays is all about priorities. Everyone has a different list of what needs to be accomplished first. At the top of most lists is decorating the home. This can either be done in a single afternoon or as an ongoing weekend project. Within the decorating tasks there are also different priorities. Putting the lights up outside first and then moving inside to the rest of the house and the Christmas tree is a good way to go. But before any of the decorating can start you should consider hiring Junk King Portland. They’re not going to help you string lights but they are going to help you make your home look a lot more festive by removing all the unwanted junk and rubbish that has accumulated over the past several months and maybe even years! It is very easy to get overwhelmed by clutter. Little things tend to pile up all throughout the house. But when you move down the basement, out into the garage or into closets you’ll find that they are often crammed to capacity with way too much junk that could be tossed out. This is the time that you want to do some serious sorting. It might feel as though you’re too busy to go through your closet and garage. However, once you do this sorting and to designate things to get removed then you will feel a lot better about your entire house being organized and ready for the holidays. Plus, there’s always a chance you’ll rediscover some holiday decorations you forgot about! When Junk King is on the job, they will be doing all the work. The two-man crew who will be assigned to your task can lift and carry out an object regardless of size or weight. That can have a great influence on your list of things to get rid of. Don’t hesitate to turn over heavy things from an upstairs bedroom as well as the light stuff from down the basement. Junk King can also collect old appliances and electronics and make sure they are recycled the right way. Prepping for the holiday doesn’t have to be stressful. Let Junk King Portland get things started with a thorough junk removal session today. This entry was posted in Portland junk removal and tagged holiday, junk King, Junk removal on November 30, 2018 by Junk King. Last updated December 2, 2018 .
Who Do You Know That Would Benefit From Junk Removal? What was the last gift that you regifted? Often a regift works best when you need a last-minute gift for someone that you might have forgotten on your Christmas list. A regift also would count for returning a gift from someone. The only challenge with that is making sure that person will never want to see you with that gift! That’s why sometimes gift giving can be a challenge. 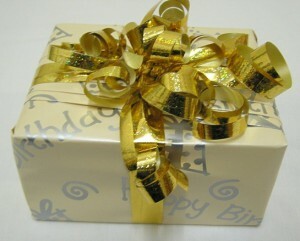 There is one gift you could give is holiday season to someone special in your life that can’t be regifted. But there’s no reason why it should be. We’re talking about a special junk removal session Junk King Portland. Who do you know that would benefit from that kind of service? You might have an elderly parent or grandparent who has a home full of stuff they’d like to clear out and downsize. That certainly would take a lot of effort if they were to try and do that on their own. With Junk King on the scene all they’ll have to do is show the team what they want removed and then watch it literally fly out the door. Think of how much a relief it will be for that person when they can get rid of the things that have been cluttering up their living rooms, guest rooms, basements and garage. This will help them get organized and be able to find the things in their own that they are keeping in storage that matter. You’ll find that Junk King can be very accommodating when it comes to setting up your appointment. If you would rather wait until after the holidays, then that won’t be a problem. It also won’t be a problem for Junk King to come out on the weekend. You will probably want to help supervise the session. It will be important for you to be there to sign off on the final fee. That number will be based upon how much room your stuff will fill on the back of the truck. Once you lockdown that price it won’t change. You can trust Junk King to always give you a fair deal. The best way to help someone special improve their living space is to hire Junk King Portland to clear out the rubbish. That would be a great holiday gift for sure! This entry was posted in Portland junk removal and tagged gift, junk King, Junk removal on November 25, 2018 by Junk King. Last updated November 25, 2018 .